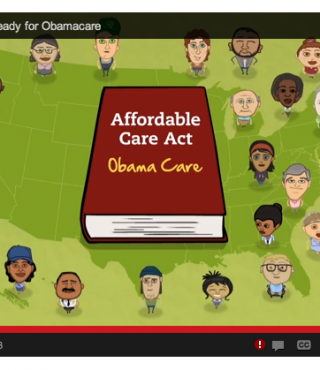 Are You Ready for the Affordable Care Act aka "Obamacare"? Change is not easy for many people, especially when you don’t fully understand all the change that is happening.You should brace yourself for 2014…because change is inevitable, at least when it comes to your healthcare options. With the roll out of the Affordable Care Act, also known as “Obamacare”, many people will see a direct effect in their healthcare coverage and their pocketbook. Whether you are covered under your employer, the government, self insured or without insurance, you need to educate yourself on how this new act will change your coverage and what your options are. For those seeking coverage by their employers, if you work for a company with over 50 employees your employer will be required by law to provide coverage. If you work for a smaller organization, your employer will be encouraged with tax incentives to provide coverage options to employees. Medicare will likely remain fairly similar in terms of coverage; however, medicaid will expand to allow more people falling below the poverty line to be insured. Medicaid coverage is decided by your State Legislator, so be sure to do your research on your home state here. Mark your calendars for October 1st, 2013 so you don’t miss out on open enrollment and get slapped with a penalty fine. Wooten Agency is always here to help guide you through your healthcare choices and provide educational material to make the decisions easier. Give us a call to schedule an appointment to get the most effective and beneficial plan!